As most of us know, home staging can help sell a house—particularly in the living room, which has gotten a bad rap lately as a waste of space. The fact is, first impressions matter, and the living room is usually near the entry point for most homes. Reality check: This room may not be the end-all, be-all area it used to be, but this is no place for your kid’s train set, your husband’s guitar stands, or any unnecessary clutter. So, it pays to do all you can to showcase this space right. To help, here are some living room staging tips buyers will love. Amy Bell, owner of Red Chair Home Interiors in Cary, NC, urges homeowners to evaluate whether any furniture can be “voted off the island”—i.e., out of the room. “I recently staged a home in which the living room contained enough furniture for two rooms,” she notes. But, as part of the staging process, she shuffled the items and placed the contents in two different places. As a result, the home sold in one day. Once you’ve removed some of the furniture, consider making an arrangement that allows people to sit and chat. “This often means pulling furniture away from walls, which also allows for circulation,” says Gale Sitomer of G Sitomer Design in New York City. And if you have a larger living room, don’t be afraid to create several separate seating areas, which can be defined by different area rugs. Limit your mantel to just a couple of pretty objects. 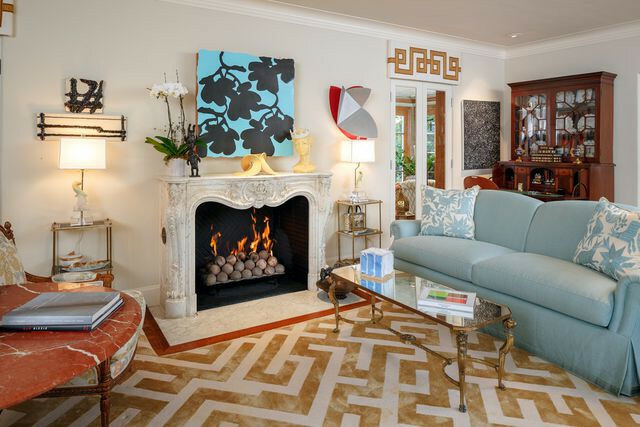 Usually the mantel, if you have one, is the first place the eye comes to rest, so make sure your home staging packs a punch here, suggest real estate agents Jonathan Rosen and Christy Berry, co-founders of The Rosen Berry Group in Dallas. Declutter this spot by taking down wedding photos, your porcelain bird collection, and other items so it looks like a clean line. Add back a single pretty vase, a fun piece of art, or an interesting sculpture. However, if the focal point is a gorgeous garden or backyard pool, create clear views of it through the living room. Choose a cool, calm color like this pearly gray. We’re talking about colors, says Sitomer. “Stick with a neutral tone to appeal to a larger variety of potential buyers,” she notes. And if you have bold or patterned furniture, consider white slipcovers. “Lighter, more neutral rugs are better than oriental or brightly colored ones, which don’t photograph well and make rooms look dated,” says Lisa Gulliver, a Showhomes franchise co-owner. 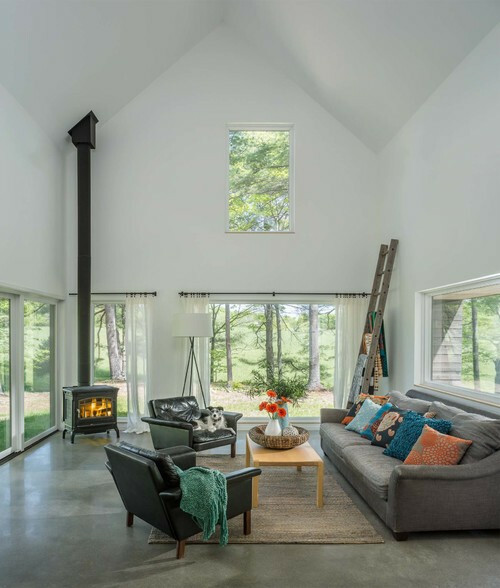 Photo by LDa Architecture & Interiors – A well-placed throw signals a cozy, comfortable home. 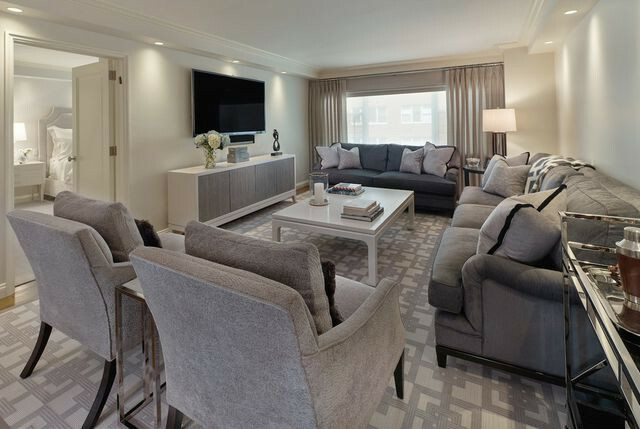 The finishing touches count for a lot when it comes to staging the living room. Put a soft cashmere throw over a corner chair to evoke a quiet place for reading, says Katie McCann, an organizing expert with Maeve’s Method. A small vase of fresh flowers adds beauty and perhaps a soft scent (watch out for overly strong candles). Jack Menashe, owner of the New York–based Menashe Group, likes accessories that bring the space to life, including large coffee-table books, sculptural art, and accent pillows. The post Here’s the One Room Where Home Staging Will Pay Off the Most appeared first on Real Estate News & Insights | realtor.com®.